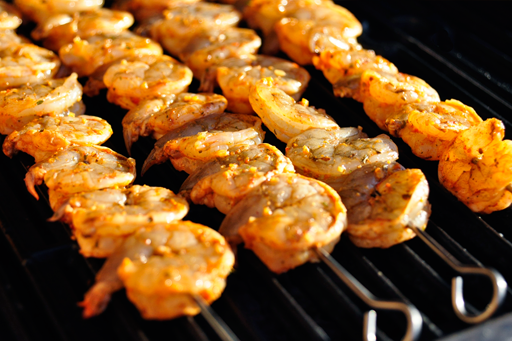 So I decided to take some time out of my busy schedule and grill up some seafood! It was hot, and I wanted something refreshing, so I went with a shrimp burrito, it was supposed to be tacos, but all I had in the fridge were the big tortillas, so I made due. Along with the shrimp I put cabbage, avocado, sour cream, garlic salsa, cilantro, and tomatoes. It was delicious and I ate way more than I should have. I am a husband and a father of, soon to be, two boys, living in the San Francisco Bay Area. I like to make printed and digital things look good. I don’t even like shimp — but this looks amazing! 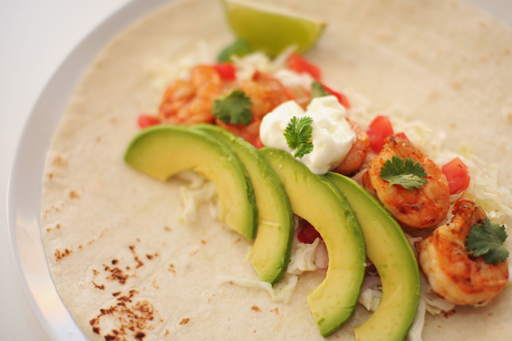 I have a weak spot for seafood + tortilla dishes. I would have eaten way more than I should have as well. Don’t feel bad. Fresh! Tasty! I want one!